One place you never hear the term Chicano is on Spanish-language media in Los Angeles. Because Los Angeles was ground zero for the historic Chicano movement, it strikes me as rather odd that this should be the case. We have four over the air, twenty-four hour a day, Spanish-language television broadcast stations and dozens of radio stations, with corresponding digital bandwidth covering the Los Angeles Metropolitan region, a market indicator zone generously mapped to include as Ventura, Los Angeles, Orange and most of Riverside and San Bernardino Counties. A powerful demographic aggregate, it is synonymous with the definition of “Hispanic media” in the U.S. and the number one Hispanic market in the nation, comprising nearly 12 million Latinos. In terms of scale, the L.A. Metro Area is home to over one-fifth of the entire U.S. Hispanic population. In terms of nationality and identity breakdown, it is seventy-eight percent Mexican and Mexican descent, or Chicano, as it were. The bulk of the remaining 22% can be attributed to the diaspora of Central American refugees with a nominal percentage being the result of Cuban and Puerto Rican migration from the East Coast. But Los Angeles is basically Mexican, second only to Mexico City in terms of population. Reagan’s victory over Jimmy Carter was marked by passage of the Refugee Act in 1980, a policy shift bolstered substantially by the Immigration Reform and Control Act (IRCA) of 1986 which resulted in the “great amnesty.” The legislation not only served to normalize the immigration status of several million Latino immigrants but provided a virtual green-light for the relatively unfettered arrival of millions more. Sidestepping the traditional role of media to inform, educate and empower, Spanish-language media followed a script based on the notion that what makes America great is unbridled consumerism. Instead of “selling” the newest group of Americans to the rest of the nation as an entrepreneurial asset and a driver for continued economic growth, they “positioned” Latino immigrants to corporate interests as gullible, docile, one-dimensional, malleable people slow to adapt and even slower to acquire proficiency in English. Immigrants, in this stilted, self-serving narrative had but one function, and that was to serve as a perpetually nameless and faceless pool of cheap labor with an insatiable consumer appetite. So for the next thirty years, billions of dollars were spent on chasing after the Spanish-speaking consumer’s pocketbook, tapping into her voracious hunger for consumer goods and a generative proclivity—marketspeak for higher fertility indexes—that promised to keep the wheels on the chuck wagon far into the sunset. What seeped out of this multi-billion dollar fusillade aimed inward to Latino immigrants was an implied assurance that to live and thrive in America, it was not necessary to adopt the customs, or the language of those they had come to live among. It was television and radio, after all, and who wasn't conditioned to take everything heard over the airwaves at face value? All that was required of you, the subtle messaging prompted, was that you stay clustered in neatly delineated “neighborhoods” or aldeas where one could lead an entire life never having to utter a word of English. The world was piped into these red-lined and neglected enclaves by broadcasts that translated the American Dream into Spanish. If you are a student of political systems and understand how authoritarian regimes manipulate inbred and patently false ideas about race and nationality to divide and conquer, fast forward to 2016. It doesn’t require rocket science to deduce that sitting smack in the middle of one of the world’s largest metropolitan hubs are 12 million people bound together by a common heritage and shared ancestral experience. Because Spanish-language media had effectively isolated and insulated its audience, reinforcing it’s invisibility and minimizing just how integral Latinos were and had been for almost 100 to life and culture in the U.S, it should had come as no surprise that Trump could have so easily exploited a delusional and paranoid fear of a non-existent “invasion” by Mexican monsters. What role did media play in 2016? Let’s go back to the heyday of the Hispanic population boom and how we ended up pursuing a doctrine of Hispanic consumerism instead of community empowerment. Enter the behemoth Univision Communications. In those heady days, Univision dominated the immigrant television audience with shares of 90% or more, allowing the network to pocket nearly all marketing money spent chasing Spanish-speaking consumers. Their content came from an ironclad alliance with Mexican media giant Televisa, an octopus with tentacles reaching into the uppermost echelons of Mexico’s political and business elite. The key to Televisa’s fortunes was the “telenovela,” most often a serial adaptation of the age-old Cinderella fairy tale with only minor plot deviations, told and retold, season after season. It was referred to in Hispanic marketing circles as the “telenovela strategy.” Immigrants just “loved, loved, loved” their nightly telenovelas and if your commercial ads aired on one during prime time, you were rewarded by a greater awareness of whatever you were selling and a measurable bump in sales. This registered on corporate bottom-lines and advanced the storyline that the happiest Latino immigrants were the biggest consumers. It was a story of what good consumers these newcomers were and their eagerness to be fully vested in their slice of the Sueño Americano. In those days, we as a community didn’t have any better ideas. Politics and community empowerment were the sole domain of party political machines that groomed and minted Chicano politicians in their own image. So the freshly minted Latino consumer was left to her own devices, primed for the telenovela strategy. Well, if it is true that media is such a powerful determining force capable of keeping an entire segment of the Latino population invisible for decades, then why couldn’t media play just as important a role in bringing the Latino community out from the shadows? What if media turned the lens on Latinos as they really are and told reality-based Cinderella stories that encouraged higher educational attainment success rates. 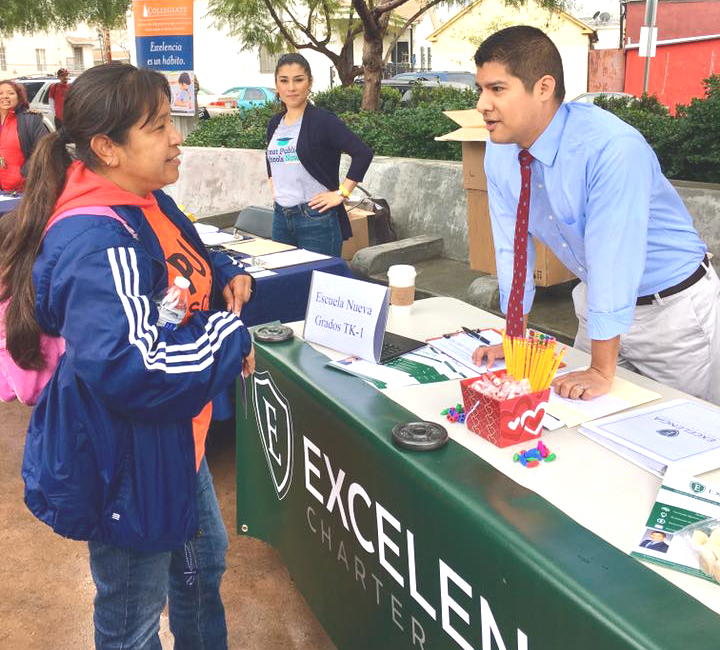 I read this morning about a 29-year-old Chicano with an undergraduate degree from MIT and a Masters’ from Harvard who recently launched the Excelencia Charter School in Boyle Heights. He could have landed a job anywhere making tons of money anywhere, but has instead chosen to work on closing the educational gap which has held so many of us back in our communities from East L.A. the South Texas Rio Grande Valley. The school’s goals are simple: to prepare Latinx children from impoverished households for “academic and personal excellence, leading to success in high school, college, and life…” In other words, preparing the next generation of community leaders who see empowerment and community building as outcomes and not merely as talking points that placate during election cycles. Getting back to the idea of a “sleeping giant,” the collective Latino community is already awake, shaking off the cobwebs of consumerism and complacency. It's millennials actively seek the critical thinking skills and energy that will help them marshal its social capital and move our people forward. Such leadership does not currently exist because it takes a generation to raise up this caliber of talent. This talent, however, is more than evident in schools all over Los Angeles, including the Excelencia Academy located on the Sunrise Elementary campus. You can see it in the way light is reflected in the eyes of grade school Chicanas and Chicanos as they absorb what their highly trained, educated and committed mentors impart to them each day. Many of these students are the sons and daughters of the same immigrants nurtured by the media to become mere consumers. The school needs 33 more students to maintain viability. According to the article, it finds itself “competing” for students since the overall population of students in the L.A. area is shrinking. Today’s educational centers have to develop strategies and tactics that effect consumer behavior, in this case consumers being parents seeking the best education available for their children. Schools, both private and public, must begin harnessing the power of the media to reach discerning parents. It isn’t free and it isn’t cheap, but when utilized correctly, marketing can be a powerful tool for changing minds and changing consumer behavior. When applying for funds from philanthropic organizations committed to reversing the lag in educational attainment, they should include a “marketing and advertising” line item in their grant proposals. That’s right, an expense as justifiable and necessary as hiring the right teaching talent. It should be sizable enough to generate the kind of excitement that can captivate the imaginations of parents and students from far and wide. I won’t argue in favor of either charter schools or traditional public schools. I don’t know enough about the issues to do that. Still, something about the aforementioned young man’s story, something about putting it all on the line to make educating Latinx youth from poor communities a cause worth rallying around, certainly captured my imagination. And, ultimately, isn’t that what education should be all about?